Salted caramel is a massive food fad at the moment and this recipe therefore ticks some boxes on the “Things to be seen eating this year” list. 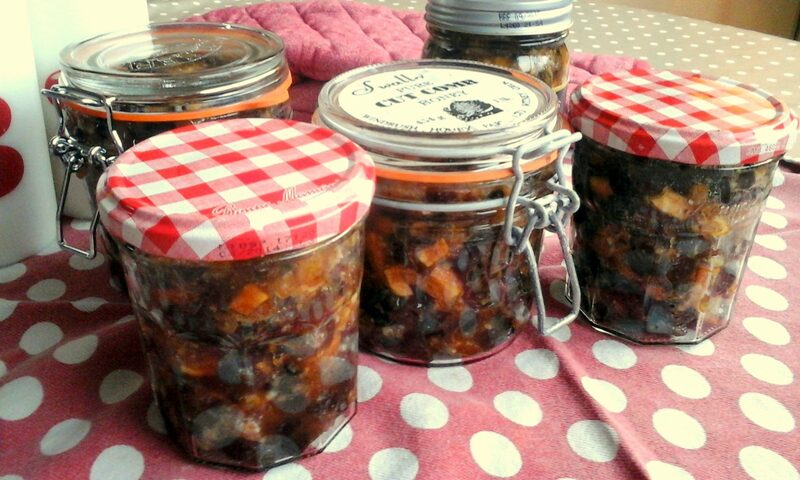 It’s a very simple recipe, but the finished article is superb. Like the white chocolate cookies recipe, it’s worth buying the book for this alone. 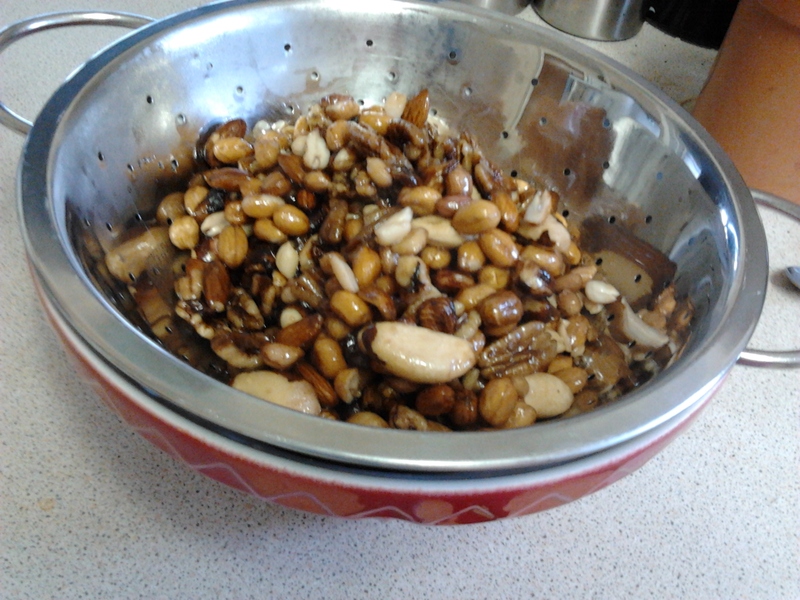 First choose your nuts. 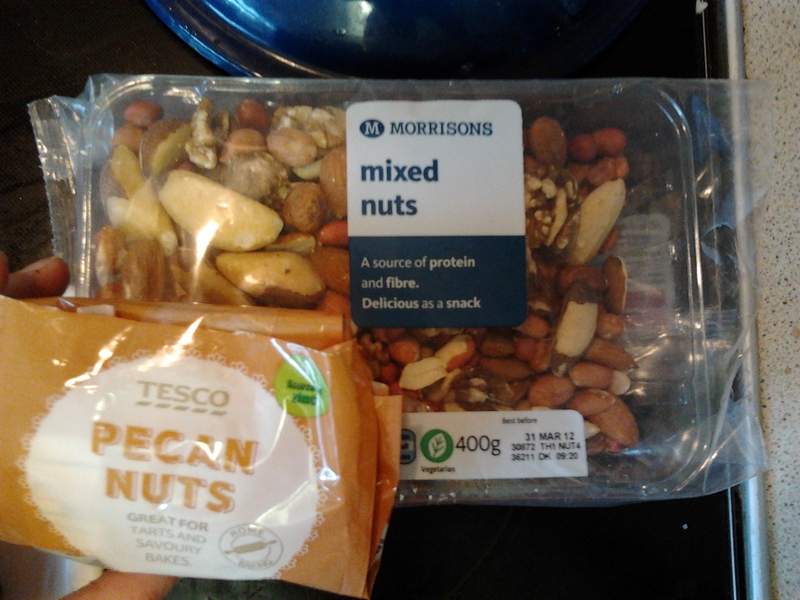 I bought mixed nuts from Morrisons, but as this was 30% peanuts, I felt a bit cheated and added some pecans for variety. 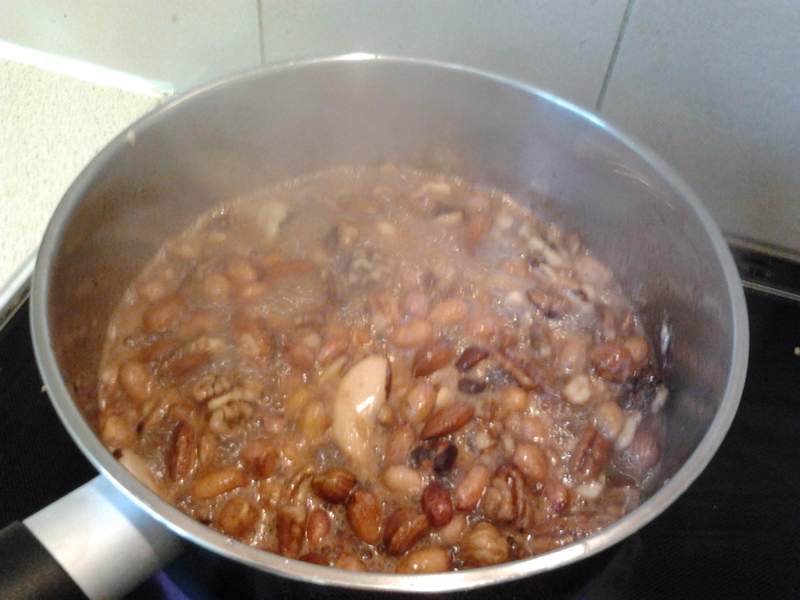 Stick the nuts in the pan with sugar, water, salt, paprika, cinnamon and cumin and bring to the boil. 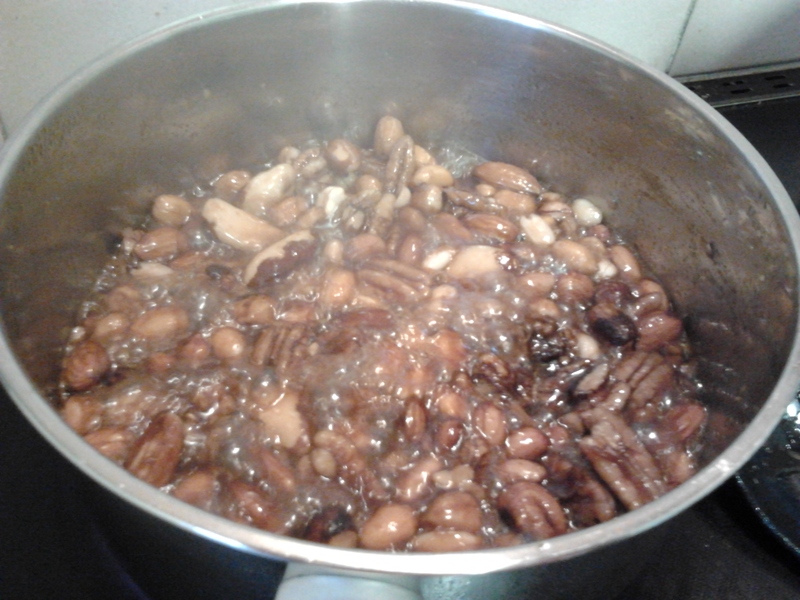 It boils at first with small bubbles so simmer for about 20 minutes until you get bigger, syrupy bubbles. 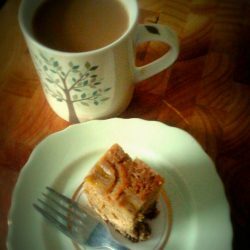 You don’t have to be exact – you’re not trying to make toffee. 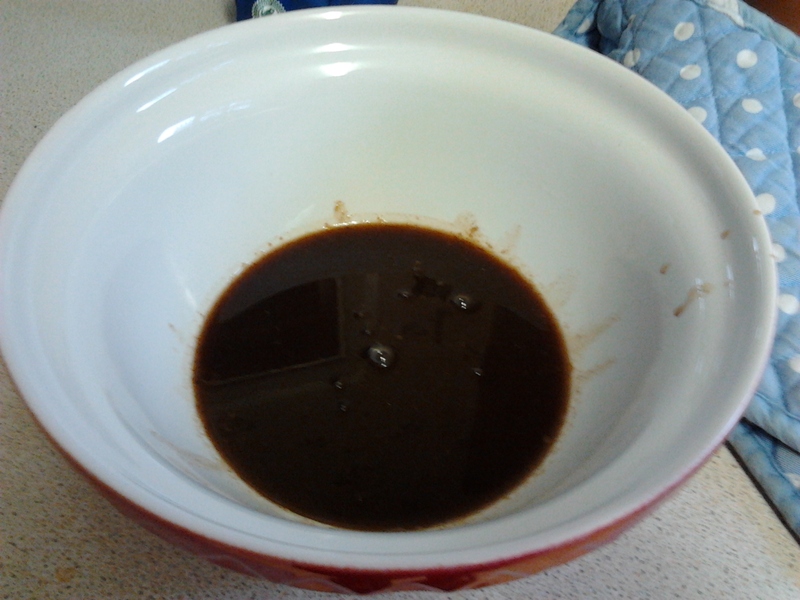 Strain carefully through a colander, catching the caramel sauce in a bowl. 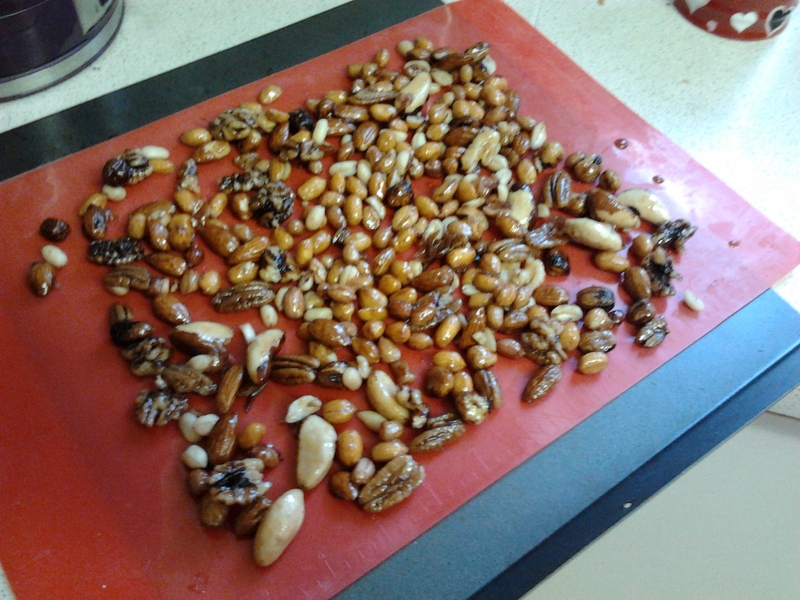 Spread out the nuts on a baking sheet. I used my silicone sheets to be super sure they didn’t stick. Bake for 20 minutes, but watch them carefully because they burn easily. They taste amazing! There’s something so moreish about them – they have an initial sweet taste but then finish with salt and spice, which makes you want to have another! 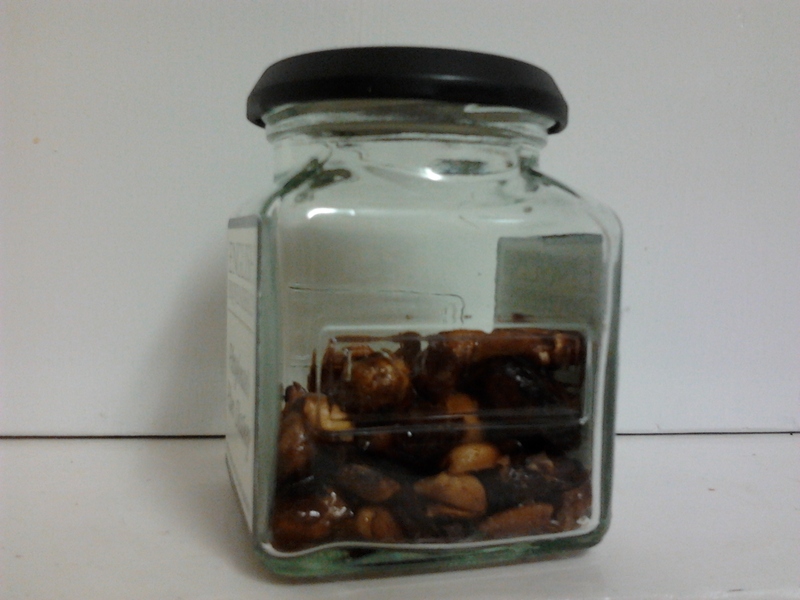 They’d make a nice present in a jar (if I hadn’t eaten most of them already). The left-over sauce could be drizzled over ice cream, or like Nigella you could take the phrase “food fashion” literally and drizzle it over yourself. 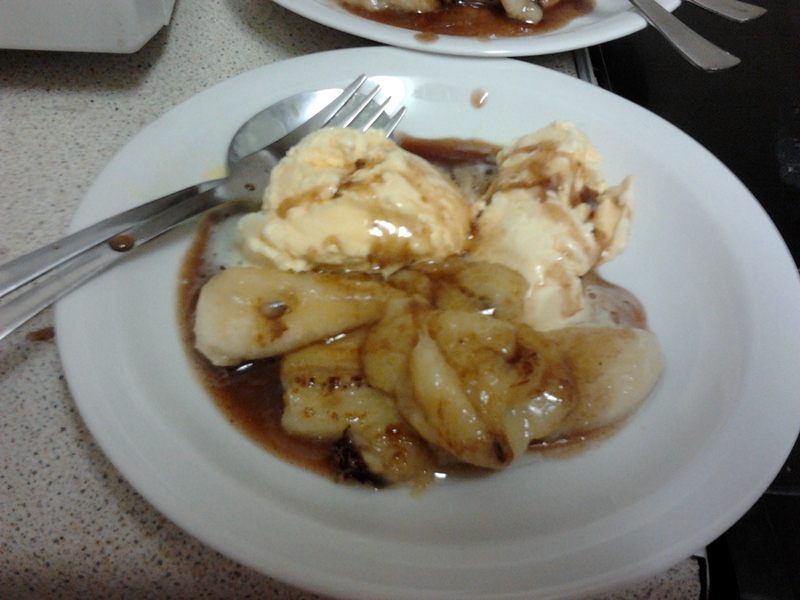 I made hot bananas and ice cream with the sauce, which was an excellent combo.